When Was the Curling Iron Invented? The curling iron has been around for longer than you might think. The invention of the curling iron is not without debate. While Hiram Maxim is known to have obtained the first patent for a curling iron in 1866, it is Marcel Grateau who is credited for actually inventing the curling iron in 1890. Marcel is also credited with several other groundbreaking ventures in hair styling, such as the long-lasting Marcel waves (along with fellow Frenchman Maurice Lentheric), the straightening comb, and the permanent wave. Are There Different Types of Curling Irons? The curling irons of today probably exceed Marcel's wildest dreams: electric curling irons, those that make big curls, those that make small curls, those that create spiral curls and those with brush attachments or multiple barrels, to name a few. In addition to the handle with Marcel's original design, curling irons can also have a clipless handle or a spring-action handle. Marcel handles require the user to apply pressure to the clamp that holds the hair. 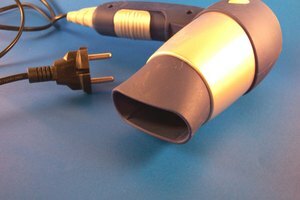 Clipless handles do not have a clamp; the hair is wound around the heating rod. Spring-action handles do not require the user to apply her own pressure. Are Marcel Curling Irons Still Used? Although the curling iron has evolved since Marcel's time, Marcel curling irons are still used today. 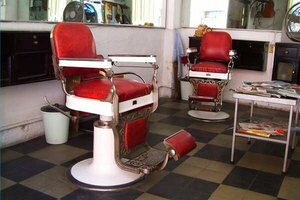 They are mostly used by professional hair stylists because it is more user-friendly to have another person hold the handle and apply the pressure than to do it yourself. What Are Curling Irons Made of? Just as there are different varieties of curling irons, there are also different materials that are used to make them. They can be made of ceramic, teflon, or metal. Tourmaline and titanium are sometimes used as well. A case can be made for using each material, depending on your needs. Hair tends to slide off of a ceramic curling iron with ease, but tourmaline is the way to go if you primarily use a curling iron on wet hair. Teflon is good for creating tight curls, but titanium is the most lightweight. Each type of curling iron has properties that make it as unique as the person using it and that should be taken into consideration when purchasing one. Where Can I Buy a Curling Iron? Curling irons can be purchased anywhere from the grocery store to the salon to the Internet. A salon is more likely to sell a higher-end curling iron than a drugstore, so that should be taken into consideration when shopping for one. Most brands have a website that details product information and allows you to make a purchase online.